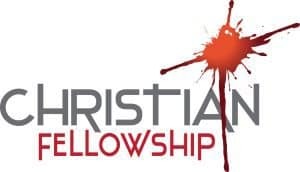 Christian Fellowship is a congregation of believers seeking to live and grow in community with each other. Our heart is to love the Triune God, each other, and the community where God has placed us. We meet weekly to worship our God, to pray and listen, to encourage each other, and to study the word of God. Our goal is to always look to Holy Spirit for His guidance in all we do as a community of believers. Our heart is to walk in the love and grace of Jesus Christ, humbly serving others both within the church and the community where God has placed us. We believe God’s family is entrusted to build the Kingdom of God as we feed the hungry, give drink to the thirsty, visit the lonely, provide clothing to the those in need, help the sick, and help those that have been imprisoned. Looking for ways to get connected at Christian Fellowship? We have opportunities for every age group with activities like Kingdom Kids, Small Groups, Men’s and Women’s ministries and Praise Team.